So you have created your app and submitted it to the stores. You are excited to share it on all your social media profile pages and can’t wait to see how many people use it. But a few weeks later nothing extraordinary happens: your app has no more than 30 downloads. You are not sure what to do next. With so many apps in the market competing for the user’s attention, how do you spread the word about yours? And most importantly, how do you get people to use it? Here are a few tips to help guide your app marketing steps, build credibility and grow your download numbers. Know your audience, design the right message and get it across. Describe in a sentence what makes your app special. Don’t try to sell its exciting features and think of the benefits it provides to your users instead. Find out what is the most valuable part to your audience, the problem that your app solves and why someone would use or need it, but also what makes it better than the competition. I know it’s not easy, but the more specific your messages are the closer your communication efforts will be to influence your potential customers. So invest the time and do this right. “In a competitive environment, only those who have a strong unified message, who create and sell quality and value, will survive.” – Tom Peters. App keywords and descriptions: once you have defined your key messages this step will be much easier. Revise your description and make sure all the relevant keywords you are targeting with your app are included on it. If you don’t want to spend a lot of money making a professional video, use all the available resources you may have to produce it yourself. Today, a smartphone is enough to make decent videos and there are also many softwares which helps non-professionals to edit them. Keep in mind that music and sound design is also extremely important in the post-editing process. The best app promo videos must provide a comprehensive illustration of the app and how it works. To do so try to tell a story if possible. Through visual storytelling, you will be able to evoke emotions and connect with your audience. This will play a big role in marketing the app and pushing up downloads. The promo video must also be simple enough for people to get it, show only the best parts of your app. Clear App is an inspiration in app demo videos. If you don’t have a press kit on your site yet, you should prepare one as soon as possible. Make it easy for journalists to get everything they need quickly, in a single place. Read this great article from Dan Counsell to know more about putting together a press kit. On the other hand, start contacting journalists and industry influencers for interest in reviewing your app. Note that they are inundated with apps every week, so find the right moment to reach them and show your app in a way they can easily digest. Don’t be shy to contact them, journalists will welcome any new idea as long as they can see the potential of an interesting and innovative story. Remember: work your key messages to create and sell value. There are also mobile specific agencies such as AppShout which can help you contact a massive number of blogs and publications. Social news communities such as Product Hunt or Reddit can drive a high number of website visitors and potential customers, but you must understand before how they can be used to grow your project or business. Don’t make the mistake of asking them to promote your app as this is not how these sites work. You should look for a way to provide value to the community, show them how your app can help them and they will help you to spread the word about it. 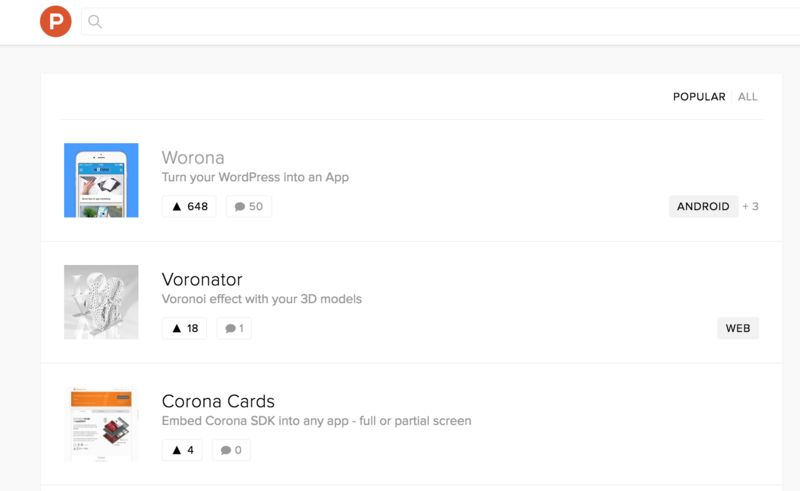 When Worona was featured as #1 in Tech on Product Hunt, we got more than 500 upvotes and around 40 comments. Visits increased x20 times and our plugin was included in some posts from popular blogs such as Webdesigner Depot or the japanese Social Design News. On this occasion it wasn’t planned, but we got tremendous feedback and understood how our upcoming version could help our users. Andreas Kambanis explained in his post “How a $2.99 recipe app became a Top 2 Paid App in the App Store” that one of the things they did on Reddit was sharing an exclusive recipe in the fitmeals subreddit. Check the most interesting subreddits for you to subscribe to and find that way to connect with the community. Create resources that people find useful or even write about a success or failure that you have experienced within your niche and share it with them. So there you have it. These are only some points that will help you build credibility and spread the word about your app, but there are many other marketing strategies that you’ll also need to keep in mind: ASO, smart app banners, social media, mobile advertising, etc. Notice how the first step is creating something useful that people are already looking for. Offer them something interesting enough to share with their network and create value through an effective communication. One last thing: start marketing your app long before its launch date. 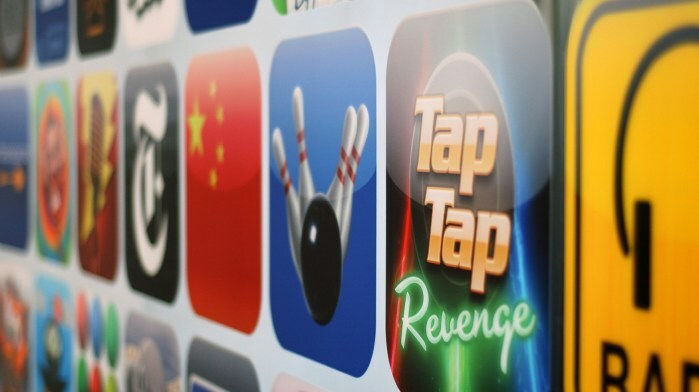 Plan your strategy from day one and these tips will give you a better chance of becoming the next big thing in the app stores. Do you have any other tips to share about promoting your app?